Experience the royal treatment with The Limo King. Not only do we take you to night parties, weddings, and birthdays, but we also accommodate to all of your needs as our guest. Don’t worry. We provide very good deals and the most competitive price just for you! Let us know if you have a bachelorette party or a corporate event and Limo King will be there to make sure your event is planned perfectly. 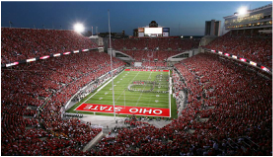 We will drive you to multiple venues for any concert or show that you may have tickets for whether it is a concert at Blossom Music Center or a musical at Playhouse Square. It is your big day and Limo King is there to make sure you arrive in a timely manner and in style to enjoy with all of your friends and family! Birthdays only come once a year, so why not get a big group together to celebrate? 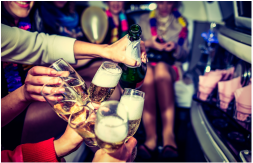 Limo King will treat you like the birthday royalty that you are on your special day! School Dances are meant for being with all of your friends. Limo King is the perfect way to make the most of your time together on your prom night. Arrive to your event all together stepping out of your VIP ride! Limo King will be the perfect finish for your game-filled day. Get a big group together and let us worry about getting you to the big event! The Limo King is here to provide your event with a Royal experience that will create an unforgettable night. We used their 20 passenger vehicle which worked perfectly for our group of 16. The bus was beautiful. Connor was responsive throughout the entire process and made it extremely easy to book. We couldn't speak higher about the service we received! Cannot wait to use The Limo King again! Thank you!"